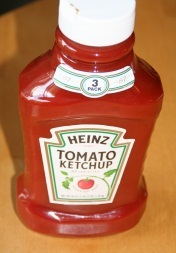 Sitting around dinner one evening feasting on fish sticks, my daughter pulled out the giant, family sized catsup bottle. While the usual dinner chaos was filling my ears high-pitched frequencies, I tuned out by reading the back label of the giant, family sized catsup bottle. Tic Tac Toe cookies were listed as their featured recipe. Tic Tac Toe cookies, I said out loud. Hoping to redirect the noise volume, I asked my oldest son to read the recipe out loud. He proceeded to call out the ingredients and when he got to the last ingredient, one cup of catsup, he made a face and looked up to see the reaction from his three siblings. 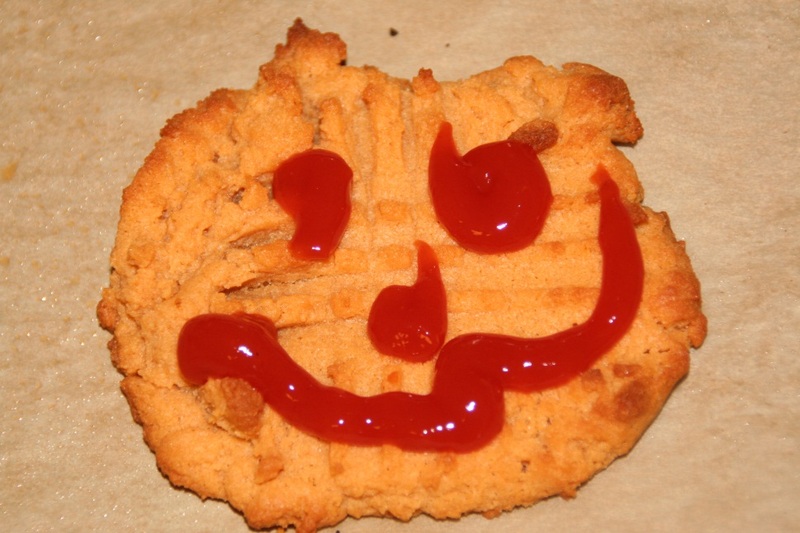 Everyone laughed and could not believe that there was such a thing as catsup cookies. I too, had to give it to Heinz for capturing my crowds attention. Are you going to try it mom, they asked. The challenge was on. I must admit that the recipe was similar to a peanut-butter cookie dough, and I was tempted to throw in extra peanut-butter to masque the catsup taste, but I didn’t. I followed the recipe, word by word and even pressed the tic tac toe pattern into the raw cookie dough before placing in the oven. Ten minutes later my experiment was complete. Now, it is time for the taste testers. Taster number one, Ben, my oldest, bit into a warm, chewy cookie, just out of the oven. Mmmm. These are great mom. Taster number two, my second oldest son, Jonathan, “thumbs up”. Taster number three, my daughter, also thumbs up and taster number four, the pickiest of them all, also gave me a MMmmm-these are good. The cookies smelled yummy-very peanut butter-ish, but I could faintly taste the catsup and was not as impressed as the kids. I am not even sure if there is any health advantage to adding the catsup-maybe it makes for a moister cookie. I am not even sure if I will make them again, but, it’s always fun to try something new and different and let’s face it…condiment cookies…it’s a change of pace.